It’s so exciting… we have met the goal!! All net funds that have been donated to help Luciano will be disbursed directly to Luciano and the doctors and hospitals which provide treatment and prosthetics. Luciano will even be flown to America to begin treatment. Meanwhile, Rick Stevenson is establishing STEVENSON NELSON CHARITIES, which will be overseen by a board consisting of Al Doman, Louise Nelson, Rick Stevenson, and Sam Nelson. The immediate goal is to provide a lifetime of prosthetic care for Luciano, so the Board of STEVENSON NELSON CHARITIES will disburse funds as needed for Luciano’s artificial limbs, house improvements, and education. Now that Luciano’s needs have been met, we encourage you to support The 5000 Days Project. By doing so, you will help other kids, maybe not as physically injured as Luciano but facing their own sets of challenges. 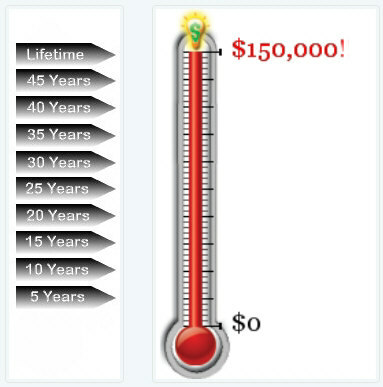 Click here to make a tax-deductible donation to The 5000 Days Project. New Short Video! Share it on Facebook! Joseph Alma Jensen on Wow! An unbelievable response!